Horses at the University of Florida Horse Teaching Unit. UF/IFAS Photo by Tyler Jones. Congregate horses for the purpose of shows, exhibits, sales/auctions, trail rides, rodeos and even boarding. Normally, proof of negative Coggins test is in the form of a paper with information about the owner, horse and lab performing the test. Cards (negative EIA test verification cards) are available for an additional fee. These cards are more convenient for those who travel often with their horses. But why do we need a negative Coggins test every 12 months? The Coggins test screens horses for Equine Infectious Anemia (EIA), a viral disease that has no vaccine and no treatment. A veterinarian must collect the blood sample and send it to a state and federally approved lab for testing. The US started using this test in 1972 and has significantly reduced the number of new cases since then. The EIA virus is transmitted by large biting flies such as horseflies and deerflies. Contaminated needles and equipment can also spread this virus. Horses with EIA can show clinical signs such as fever, weight loss, yellowing of skin, anemia, swelling of limbs and weakness. Some horses with EIA show no signs of infection, but can still transmit the virus to healthy horses. 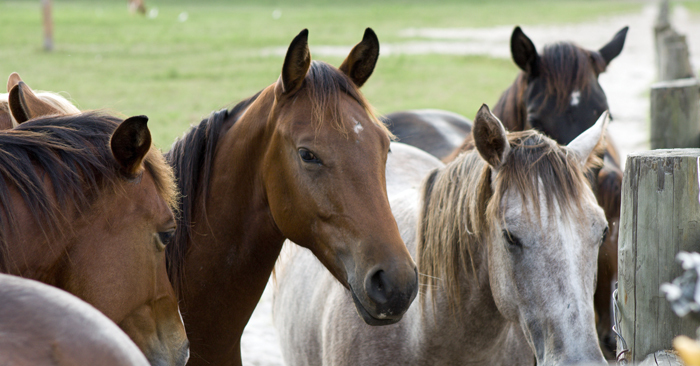 Horses that test positive for EIA are either euthanized or segregated from negative horses. USDA has set forth Uniform Methods and Rules for detecting, controlling and preventing the spread of EIA in the US. This is the minimum standard for states to follow. Florida rules exceed these minimum standards since we are an historic “hot zone” state. In 2017, 108,388 Coggins tests were performed in Florida with 2 horses testing positive. So far in 2018, one positive horse has been reported in March in Hardee County. Currently in the US less than 0.01% of horses tested are positive for EIA. In 1972, when testing was implemented 4% of horses tested were positive. If we get complacent and ignore EIA, since it is no longer very prevalent, we will see an increase in cases around the US. Since there is no vaccine and no treatment for this disease, which can be fatal, testing is our best defense against this virus.